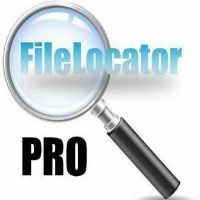 FileLocator Pro lets you perform quick and thorough file and folder searches on your computer, aiming to surpass the default tool built into Windows. It offers multilingual support and a lot of customization options, mainly oriented toward advanced users. After a brief and uneventful setup operation, you can check out the user-friendly interface with the neatly organized window. The tool offers two different layouts, for expert and beginner users; we will be evaluating the first one. Perhaps FileLocator Pro's most notable feature is that it supports multiple tabs which allow you to perform multiple searches with different filters at the same time. You can include subfolders, specify a file name, containing text and drive to scan, along with the scan mode (e.g. DOS expression, plain text, whole word) and time frame (before or after a particular date). 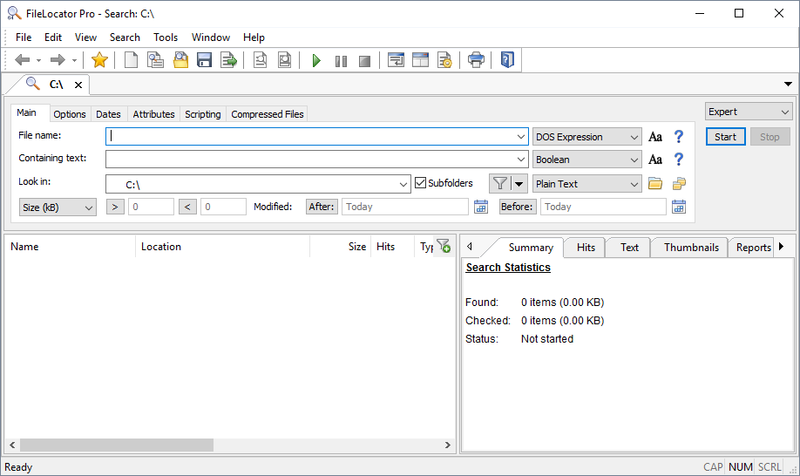 It is possible to establish the Boolean expression match mode (line by line or across the whole file, allow wildcards), search mode (multiple or single phase, display hit count), and enhanced file searching mode (e.g. enable a deep search or choose custom processing settings and manage a list of file extensions). The time frame filter can be further customized when it comes to the date of creation, last access and last modification. Other options to take into account revolve around file attributes (e.g. archive, folder, system, sparse, index) and JScripts and VBScripts.